What is your hometown, major, etc.? I am a junior from Westport, CT, and my major is finance. Why did you join Kappa Sigma? While rushing fraternities in the fall of 2010, I found that the brothers of Kappa Sigma were far more approachable than those of other fraternities, and I enjoyed spending time with them. I was looking for a group of guys whom I could trust, and I felt I found that family in Kappa Sigma. Why did you choose Penn State? I chose Penn State because of its excellent business school and networking opportunities. While the social opportunities and athletics were additional pluses, my primary objective was making sure I had a clear path to my career. What is your best Kappa Sig memory so far? My best memory with Kappa Sigma so far has been attending THON my freshman year. I had the opportunity to meet a family affected by pediatric cancer, and moved on to become THON Family Relations Chairman for the fraternity where I further developed this relationship. Each year, THON has again and again proved to be the most moving experience of my life, and bonding with this family has made the experience even more meaningful and powerful. 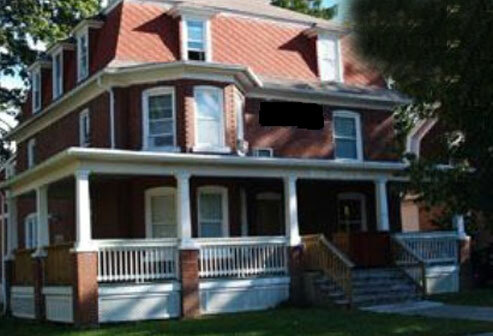 What is your position with Kappa Sig? My current position in the fraternity is THON Overall Chairman. Here, I manage all THON related activities and decisions on behalf of Kappa Sigma, assisted by four other devoted chairs. The position has given me the opportunity to learn much about leadership and organization, as well as continuing my involvement with THON. What are your hopes for the future of Alpha Delta? I hope that in the future, the Alpha Delta chapter will become one of the most reputable chapters here on campus, as well as one of the most reputable of Kappa Sigma on a national level. Why do you feel it’s important for alumni to stay connected with the active chapter? It is important for alumni to stay connected with the active chapter to provide funds when the chapter needs financial support, to come support the chapter in any other capacity (on a mentorship basis), and to show the younger brothers how connected the chapter is - beyond the current students. How will you remain involved with Kappa Sig as an alum? As an alum, I plan to stay connected with Kappa Sigma through visiting when I am able, donating money to assist the fraternity’s investments, and of course to be a regular contributor to THON. My future career goals include enjoying my line of work, meeting great people along the way, and being able to support a happy family. What other activities are you involved in at Penn State? In addition to my involvement with Kappa Sigma, I am a Trading Room Analyst with the FactSet platform in the Smeal College of Business, an analyst with the Penn State Investment Association, and a founding member of an a cappella group. What is your favorite thing about Happy Valley? My favorite thing about Happy Valley is the atmosphere. Everyone here is excited to be a part of the Penn State community, and always looking to enlarge their networks of friends and colleagues.